My family and I were on a road trip and stopped in Williamsburg for a good nights rest. As usual, the next morning I began to think about my next Esspresso Trip. 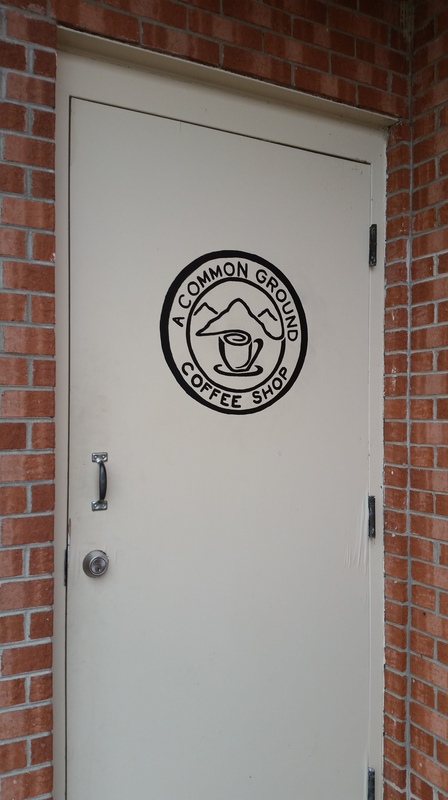 After reading the reviews for “A Common Ground Coffee Shop” I became very excited to experience what they had to offer. It appeared to me that the people where friendly, enjoyed their craft and ultimately enjoyed connecting with people. So, off we went to the coffee house. As we approached the location, it was discovered to be inside of a church! This made me even more excited because as a Christian, I like to support the work of the Lord. Unfortunately, they were closed. The hours posted were “5:00-10:00 pm”. I just assumed that it was 5:00 am but after further research I learned that they are opened from 5:00 pm -10:00 pm. According to Google+, their mission is to cultivate the environment of the community and to provide hospitality and deepen the lives of people they meet, all in Jesus name. Now what and awesome calling! Categories: Uncategorized | Tags: A Common Ground, coffee, espresso, java, KY, latte | Permalink.